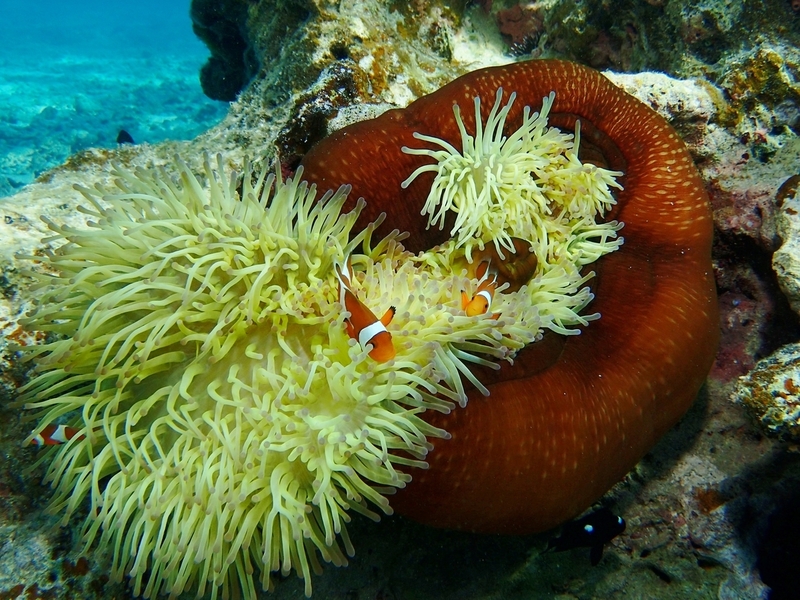 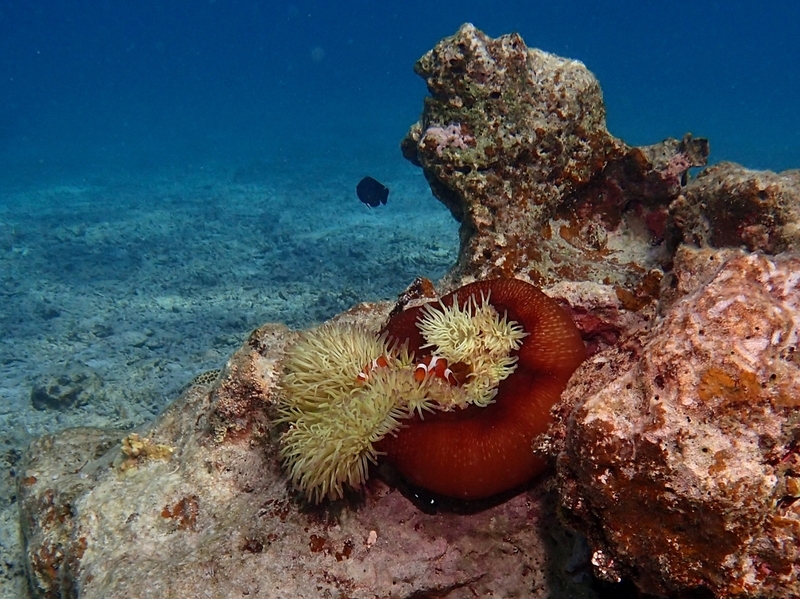 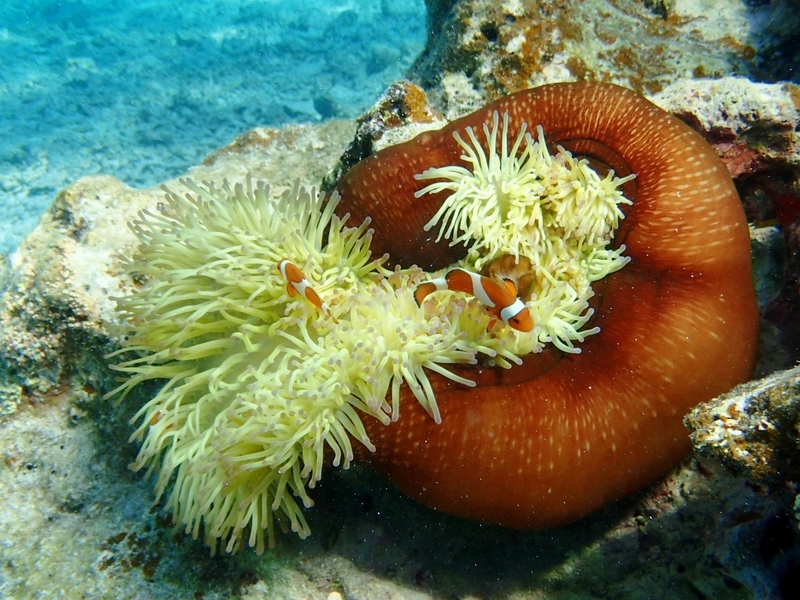 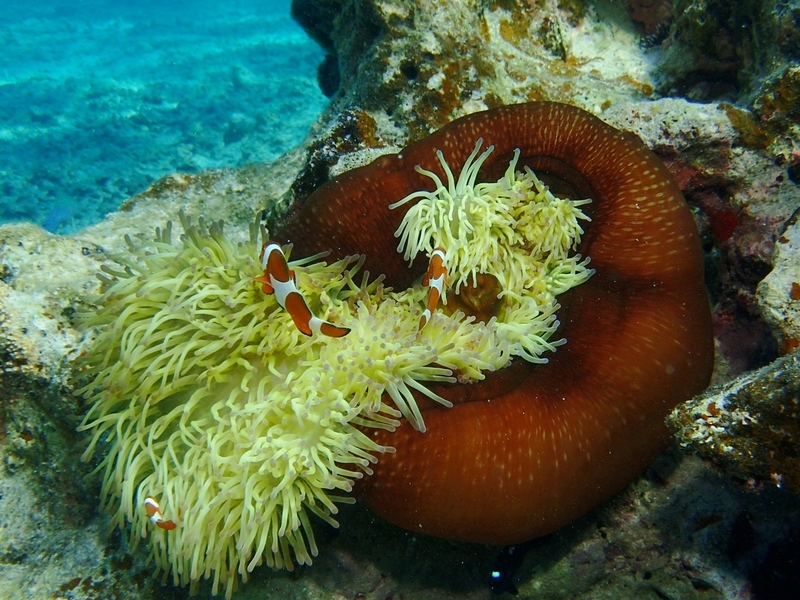 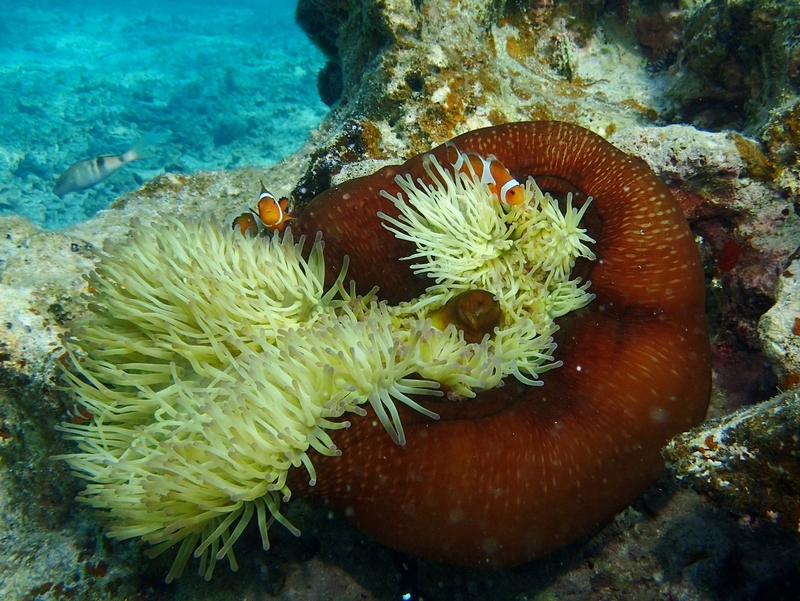 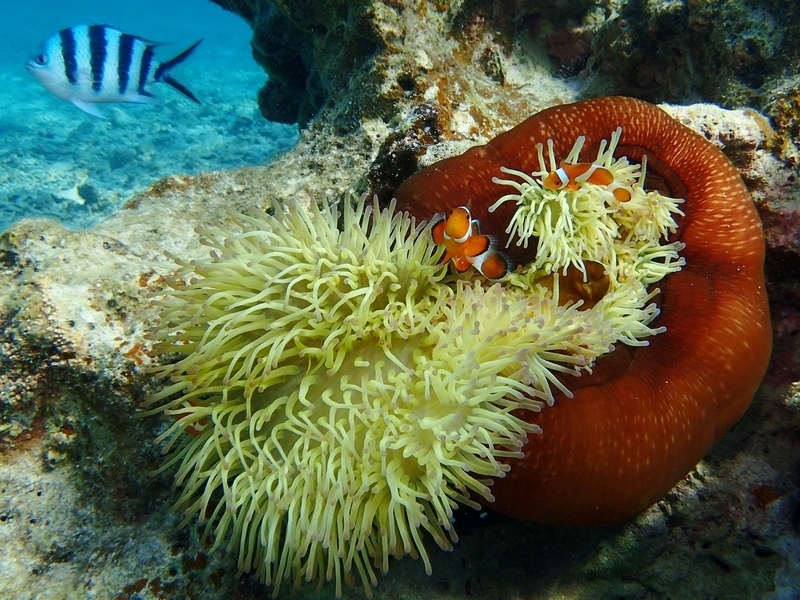 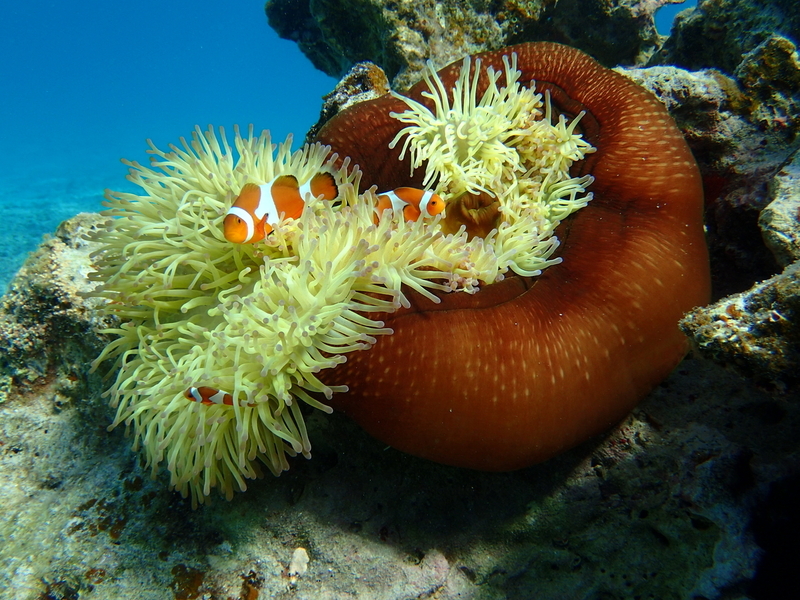 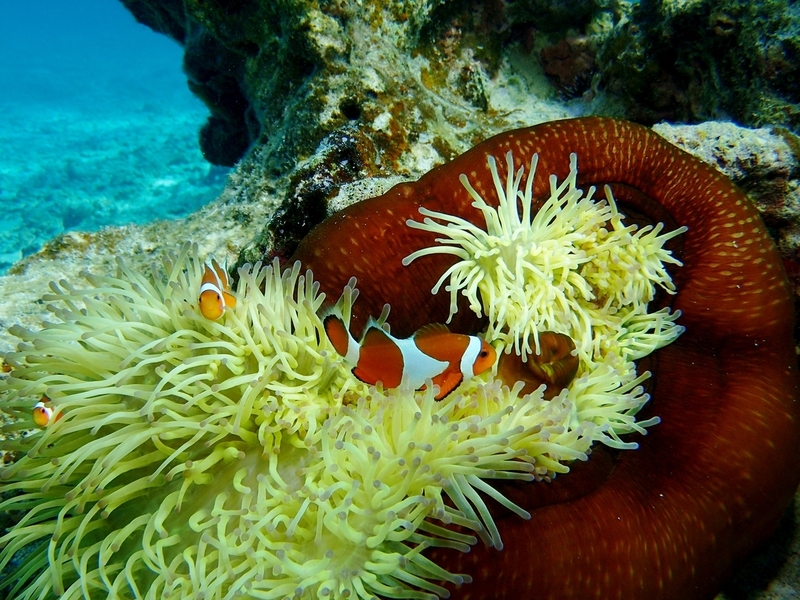 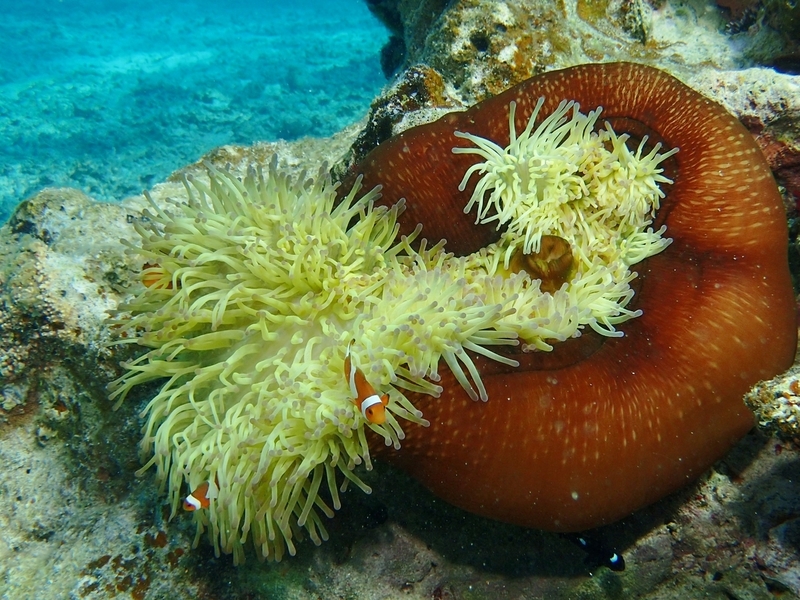 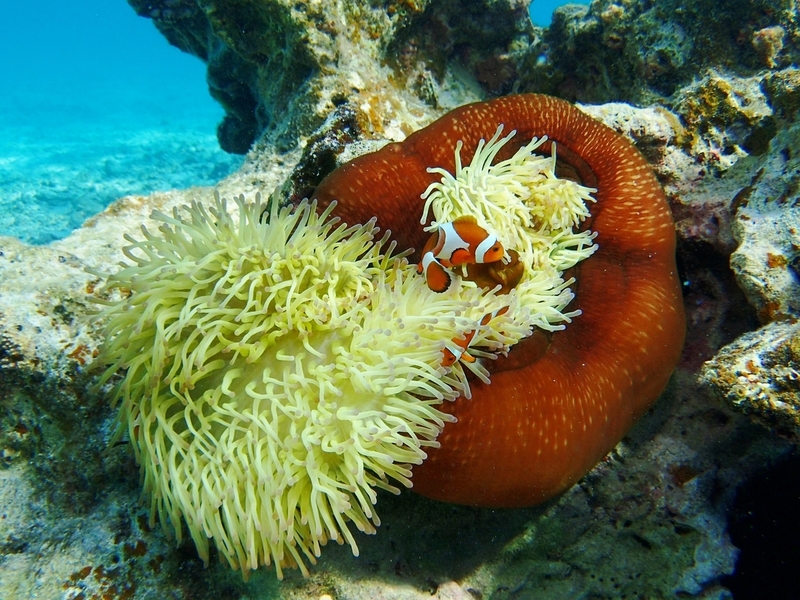 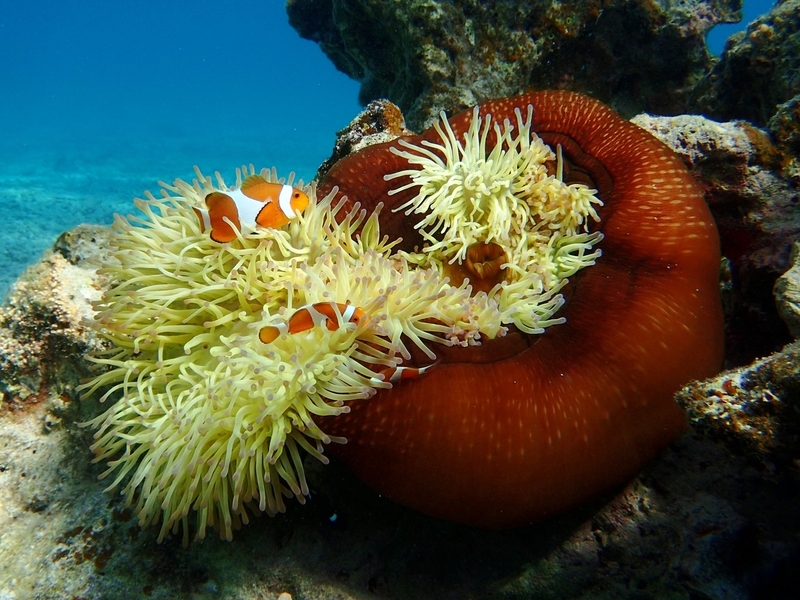 I met a family of Kakurekumanomi (a kind of sea anemone fish). 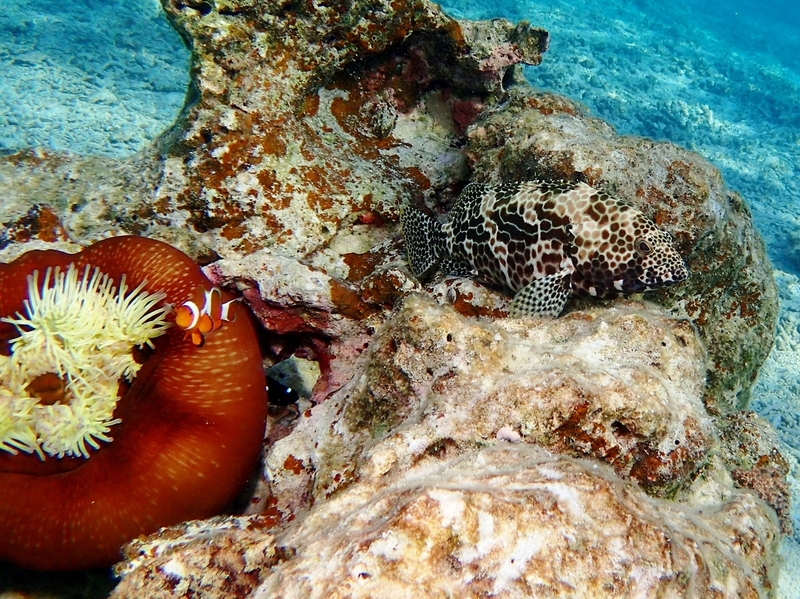 They were moving and moving around and looked very busy. 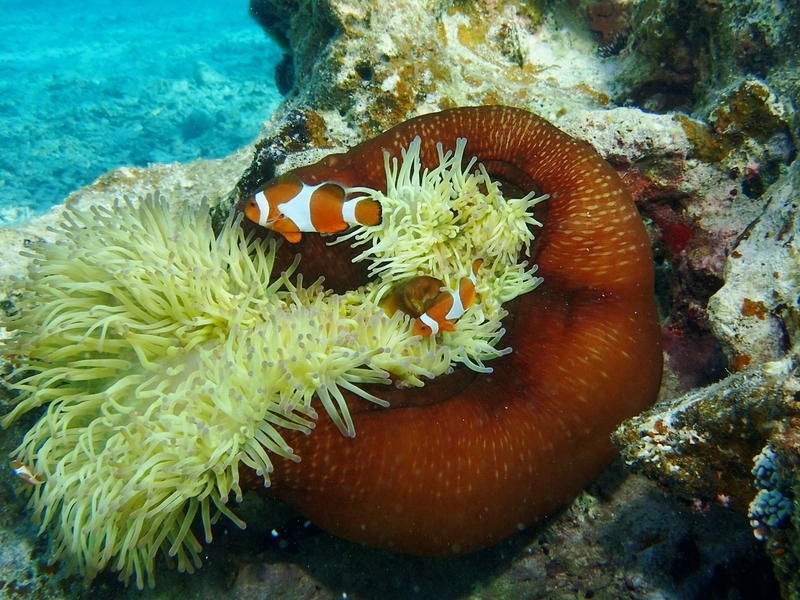 At last, they seemed to stop their motion. 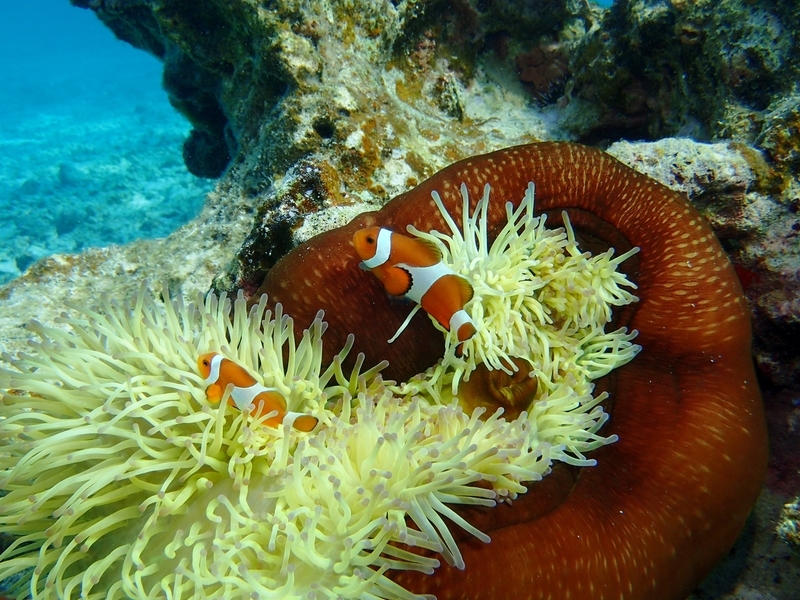 I found that they have been just before leaving home.